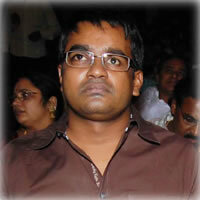 Selvaraghavan’s taste for variety is not quite unknown. After the hugely successful tragic love stories Kadhal Konden and 7G Rainbow Colony, he went off on a tangent directing the gangster flick Pudupettai. Then followed the Telugu family love story Aadavari. Now we hear he is busy with Malai Nerathu Mayakkam, the title of which is self-explanatory about its romantic nature. Selva’s future plans include a project with Vikram in the lead the backdrop of which would be a village, something he hasn’t done as yet. It’s interesting to note that although his upcoming Aayirathil Oruvan is a fantasy flick, Karthik’s wardrobe suggests that he plays a rustic villager in the movie.